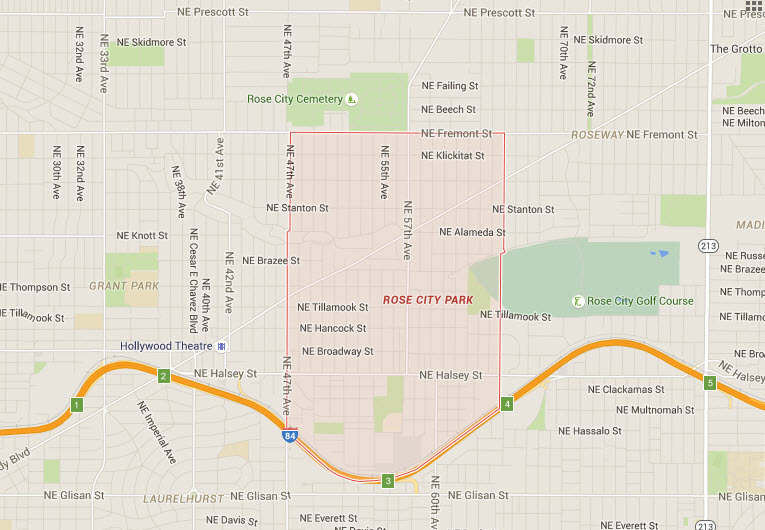 Rose City Park is a neighborhood (and a park of the same name) in Northeast Portland, Oregon. It borders Beaumont-Wilshire, Grant Park, and the Hollywood District on the west (at NE 47th Avenue), Cully on the north (at NE Fremont Street), Roseway and Madison South on the east (at NE 65th Avenue), and Center on the south (at the Banfield Expressway and MAX transit line). Some fun facts about our neighborhood. The neighborhood was first platted in 1907.